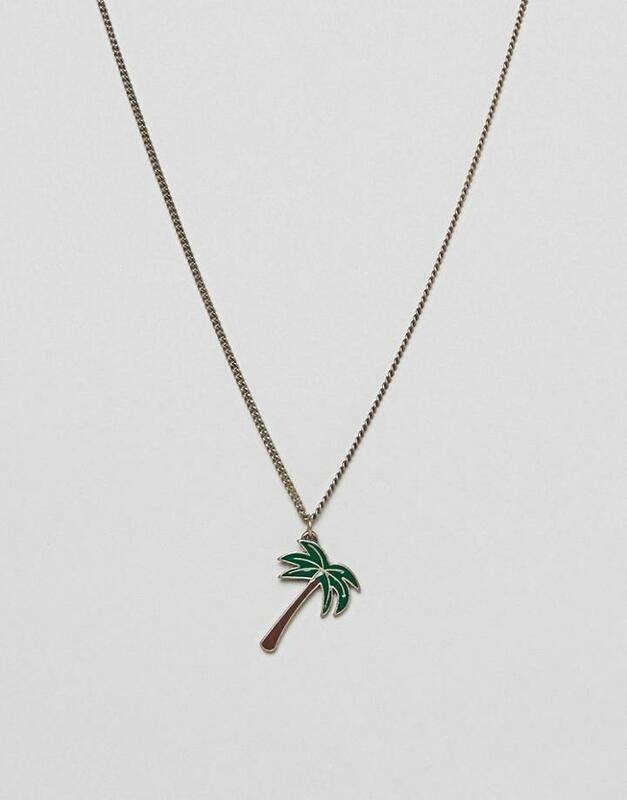 Necklace by Classics 77, Gold-tone finish, Fine curb chain, Palm tree pendant, Overhead design. Surf at daybreak and skate 'til sunset? Then you'll be into accessories brand Classics 77, who take their inspiration from the continued search for freedom and the dream of an endless summer. Think of Classics 77 bracelets and wristbands as a memento of those lost summer days.